This is a sociological reflection about life history. It’s about me because I’m the person I know best, and I have permission to reveal details of my life. I was born in August 1967, making me 50 years old this month. But life experience is better thought of in cohort terms. Where was I and what was I doing, with whom, at different ages and stages of development? Today I’m thinking of these intersections of biography and history in terms of technology, music, and health. We had a TV in my household growing up, it just didn’t have a remote control or cable service, or color. We had two phones, they just shared one line and were connected by wires. (After I moved out my parents got an answering machine.) When my mother, a neurobiologist, was working on her dissertation (completed when I was 10) in the study my parents shared, she used a programmable calculator and graph paper to plot the results of her experiments with pencil. My father, a topologist, drew his figures with colored pencils (I can’t describe the sound of his pencils drawing across the hollow wooden door he used for a desktop, but I can still hear it, along with the buzz of his fluorescent lamp). A couple of my friends had personal computers by the time I started high school, in 1981 (one TRS-80 and one Apple II), but I brought a portable electric typewriter to college in 1988. I first got a cell phone in graduate school, after I was married. The first portable electronic device I had (besides a flashlight) was a Sony Walkman, in about 1983, when I was 16. At the time nothing mattered to me more than music. Music consumed a large part of my imagination and formed the scaffolding of most socializing. The logistics of finding out about, finding, buying, copying, and listening to music played an outsized role in my daily life. From about 1980 to 1984, most of the money I made at my bagel store job went to stereo equipment, concerts, records, blank tapes for making copies, and eventually drums (as well video games). I subscribed to magazines (Rolling Stone, Modern Drummer), hitchhiked across town to visit the record store, pooled money with friends to buy blank tapes, spent hours copying records and labeling tapes with my friends, and made road trips to concerts across upstate New York (clockwise from Ithaca: Geneva, Buffalo, Rochester, Syracuse, Saratoga, Binghamton, New York City, Elmira). As I’m writing this, I thought, “I haven’t listened to Long Distance Voyager in ages,” tapped it into Apple Music on my phone, and started streaming it on my Sonos player in a matter of seconds, which doesn’t impress you at all – but the sensory memories it invokes are shockingly vivid (like an acid flashback, honestly) – and having the power to evoke that so easily is awesome, in the old sense of that word. 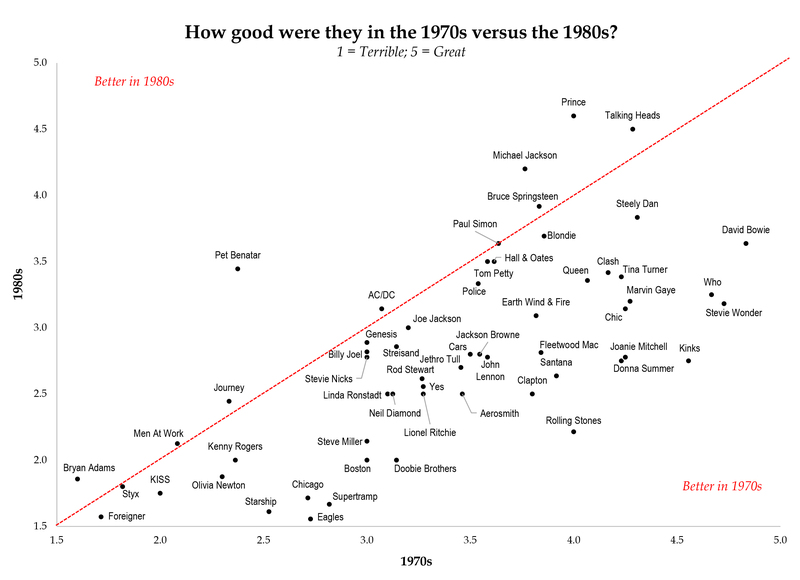 Some of us worked at the Cornell student radio station (I eventually spent a while in the news department), whose album-oriented rock playlist heavily influenced the categories and relative status of the music we listened to. The radio station also determined what music stayed in the rotation – what eventually became known by the then-nonexistent term classic rock – and what would be allowed to slip away; it was history written in real time. You could think of the birth cohort of 1967 as the people who entered the world at the time of “race riots,” the Vietnam and Six Day wars, the Summer of Love, the 25th Amendment (you’re welcome! ), Monterey Pop, Sgt. Peppper’s, and Loving v. Virginia. Or you could flip through Wikipedia’s list of celebrities born in 1967 to see how impressive (and good looking) we became, people like Benicio del Toro, Kurt Cobain, Paul Giamatti, Nicole Kidman, Pamela Anderson, Will Ferrell, Vin Diesel, Phillip Seymour Hoffman, Matt LeBlanc, Michael Johnson, Liev Schreiber, Julia Roberts, Jimmy Kimmel, Mark Ruffalo, and Jamie Foxx. But maybe it makes more sense to think of us as the people who were 14 when John Lennon made his great commercial comeback, with an album no one took seriously – only after being murdered. The experiences at age 14, in 1981, define me more than what was happening at the moment of my birth. Those 1981 hits from album-oriented rock mean more to me than the Doors’ debut in 1967. My sense of the world changing in that year was acute – because it was 1981, or because I was 14? In music, old artists like the Moody Blues and the Rolling Stones released albums that seemed like complete departures, and more solo albums – by people like Stevie Nicks and Phil Collins – felt like stakes through the heart of history itself (I liked them, actually, but they were also impostors). One moment that felt at the time like a historical turning point was the weekend of September 19, 1981. My family went to Washington for the Solidarity Day rally, at which a quarter million people demonstrated against President Reagan and for organized labor, a protest fueled by the new president’s firing of the PATCO air traffic controllers the previous month (and inspired by the Solidarity union in Poland, too). Besides hating Reagan, we also feared a nuclear war that would end humanity – I mean really feared it, real nightmare fear. A piece of radio news copy I wrote and read at WVBR, probably 1983. The slashes are where I’m going to take a breath. “Local AQX” is the name of the tape cartridge with the sound bite (“actuality”) from Alfred Kahn, and “OQ:worse” means that’s the last word coming out of the clip. I don’t want to overdramatize the drama of 1981; I was basically fine. I came out with a penchant for Camus, a taste for art rock, and leftism, which were hardly catastrophic traits. Still, those events, and their timing, probably left a mark of cynicism, sometimes nihilism, which I carry today. About 1984, with Daniel Besman (who later died) in Ithaca. Photo by Linda Galgani. I don’t think I would have, at age 14, given much weight to the idea that my life would repeatedly be saved by medical technology, but now that seems like business as usual, to me anyway. I guess as long as there’s been technology there have been people who owe their lives to it (and of course we’re more likely to hear from them than from those who didn’t make it). 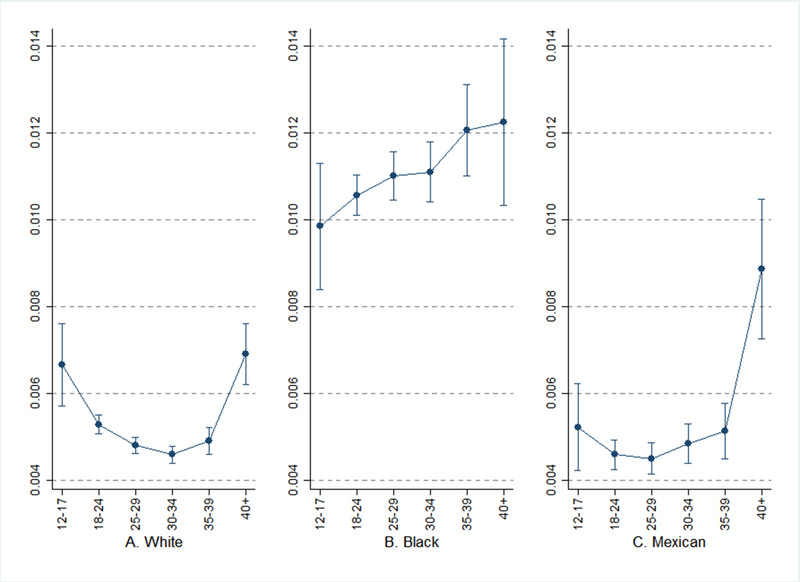 But the details are cohort-specific. These days we’re a diverse club of privileged people, our conditions, or their remnants, often hidden like pebbles wedged under the balls of our aging feet, gnawing reminders of our bodily precarity. Family lore says I was born with a bad case of jaundice, probably something like Rh incompatibility, and needed a blood transfusion. I don’t know what would have happened without it, but I’m probably better off now for that intervention. Sometime in my late teens I reported to a doctor that I had periodic episodes of racing heartbeat. After a brief exam I was sent home with no tests, but advised to keep an eye on it; maybe mitral valve prolapse, he said. I usually controlled it by holding my breath and exhaling slowly. We found out later, in 2001 – after several hours in the emergency room at about 200 very irregular beats per minute – that it was actually a potentially much more serious condition called Wolff-Parkinson-White syndrome. The condition is easily diagnosed nowadays, as software can identify the tell-tale “delta wave” on the ECG, and the condition is listed right there in the test report. Two lucky things combined: (a) I wasn’t diagnosed properly in the 1980s (which might have led to open-heart surgery or a lifetime of unpleasant medication), and; (b) I didn’t drop dead before it was finally diagnosed in 2001. They fixed it with a low-risk radiofrequency ablation, just running a few wires up through my arteries to my heart, where they lit up to burn off the errant nerve ending, all done while I was almost awake, watching the action on an x-ray image and – I believed, anyway – feeling the warmth spread through my chest as the doctor typed commands into his keyboard. Diverticulitis is also pretty easily diagnosed nowadays, once they fire up the CT scanner, and usually successfully treated by antibiotics, though sometimes you have to remove some of your colon. Just one of those things people don’t die from as much anymore (though it’s also more common than it used to be, maybe just because we don’t die from other things as much). I didn’t feel like much like surviving when it was happening, but I suppose I might have made it even without the antibiotics. Who knows? More interesting was the case of follicular lymphoma I discovered at age 40 (I wrote about it here). There is a reasonable chance I’d still be alive today if we had never biopsied the swollen lymph node in my thigh, but that’s hard to say, too. Median survival from diagnosis is supposed to be 10 years, but I had a good case (a rare stage I), and with all the great new treatments coming online the confidence in that estimate is fuzzy. Anyway, since the cancer was never identified anywhere else in my body, the treatment was just removing the lymph node and a little radiation (18 visits to the radiation place, a couple of tattoos for aiming the beams, all in the summer with no work days off). We have no way (with current technology) to tell if I still “have” it or whether it will come “back,” so I can’t yet say technology saved my life from this one (though if I’m lucky enough to die from something else — and only then — feel free to call me a cancer “survivor”). From my oncologist’s farewell note. It’s hard to imagine what I would have thought if someone told my 14-year-old self this story: One day you will, during a Skype call from a hotel room in Hangzhou, where you are vacationing with your wife and two daughters from China, decide to sue President Donald Trump for blocking you on Twitter. On the other hand, I don’t know if it’s possible to know today what it was really like to be me at age 14. In the classic time travel knot, a visitor from the future changes the future by going back and changing the past. The cool thing about mucking around with your narrative like I’m doing in this essay (as Walidah Imarisha has said) is that it by altering our perception of the past, we do change the future. So time travel is real. Just like it’s funny to think of my 14-year-old self having thoughts about the past, I’m sure my 14-year-old self would have laughed at the idea that my 50-year-old self would think about the future. But I do! With all the money we have given them, why are the poor still poor? Since the mid-1960s, government has spent more than $19.8 trillion (in 2011 dollars) in total on means-tested welfare programs. With 80 such federal programs, targeted government spending for low-income families – including on health, education, housing, and income supports – totaled nearly $930 billion in fiscal 2011 alone. If converted to cash, this sum would be four times what is needed to lift every poor family out of poverty. About half of this annual means-tested spending goes to families with children. If divided among the 14 million poorest families with children, each family would receive about $33,000. Why, then, have poverty rates remained so high for so long? Clearly, the solution to alleviating poverty is not more of the same. We already spend more than enough money on means-tested programs for poor and low-income people to bring them all out of poverty. There were about 46.5 million people in poverty in 2012, a year in which spending on means-tested programs was around $1 trillion. If that money were divided up among the poor, we could spend about $22,000 per person. For a single mother and two children, that would be over $65,000. The poverty level in 2013 for a mother and two children is less than $20,000. So this strategy would work, but giving so much money to young, able-bodied adults would not be tolerated by the public. This way of manipulating welfare state spending seems to have originated from Robert Rector at Heritage, who offered it in Congressional testimony in 2012. This meme is — and I am choosing my words carefully — stupid and evil. It’s stupid because it ignores how poverty is calculated and how “means-tested” money is spent. 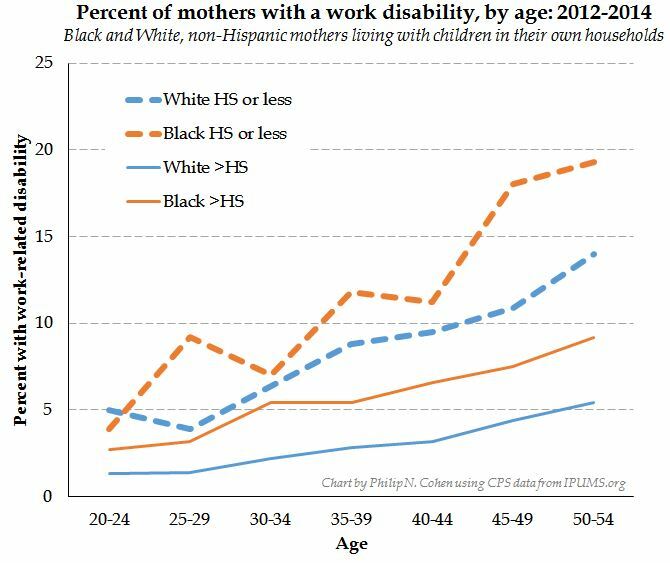 If you took away Medicaid and housing support alone, the poverty line for a single mother with two children would have to be a lot higher. 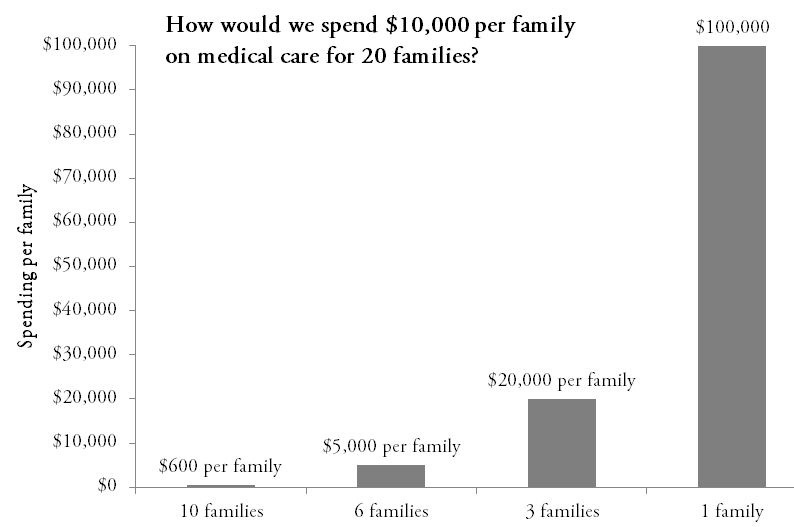 For example, according to Rector’s original figures (shared here), half of that means-tested money is spent on medical care, mostly Medicaid. So, Haskins, if you took away Medicaid (and Obamacare subsidies), how much would a single mother with two children need to survive? Health insurance alone would cost her more than $10,000. Further, all those non-poor families living on $33,000 in employment income are getting benefits, too, like tax-subsidized employer-provided healthcare, mortgage interest deductions, unemployment insurance, and retirement savings. If you took all that away and gave these non-poor families $33,000 to live on, they wouldn’t be non-poor for long. So the argument is stupid. The calculations for this are not shown, which is probably just as well. But the idea that the “benefits” of marriage — that is, the observed association between marriage and non-poverty — would accrue to single mothers if they “simply” married their partners is bonkers. There is a marriage queue (imperfect of course) that arranges people from most to least likely to marry, and on average the richer, healthier, better-at-relationships people are at the front, more likely to marry and produce the observed “benefits” of marriage. “Marriageable” isn’t a dichotomous condition, but it’s obvious that at any one time the currently non-married are not the same as the currently married. Oh, wait, I do agree with that. But we don’t spend money on the military and fight wars to fix the world. We do it to fatten defense contractors, provide jobs, prop up unpopular allies, and defend the country from the occasional threat. 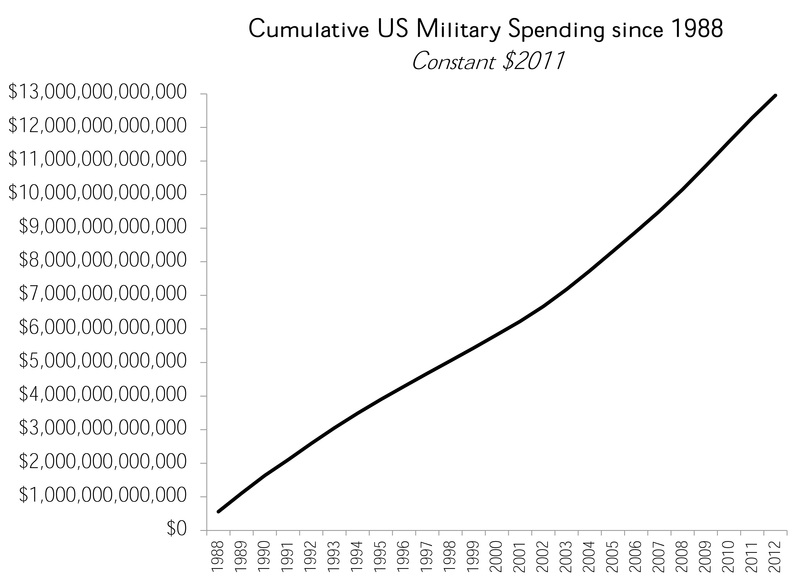 The defense industry doesn’t have to defend the claim that the spending is a one-time thing to cure a problem. Giving poor people money — or in-kind benefits — to help them survive is not a solution to poverty, it’s a treatment for poverty. If we had more decency we’d do more of it. Sociologists like to say that gender identities are socially constructed. That just means that what it is, and what it means, to be male or female is at least partly the outcome of social interaction between people – visible through the rules, attitudes, media, or ideals in the social world. And that process sometimes involves constructing people’s bodies physically as well. And in today’s high-intensity parenting, in which gender plays a big part, this includes constructing – or at least tinkering with – the bodies of children. Today’s example: braces. 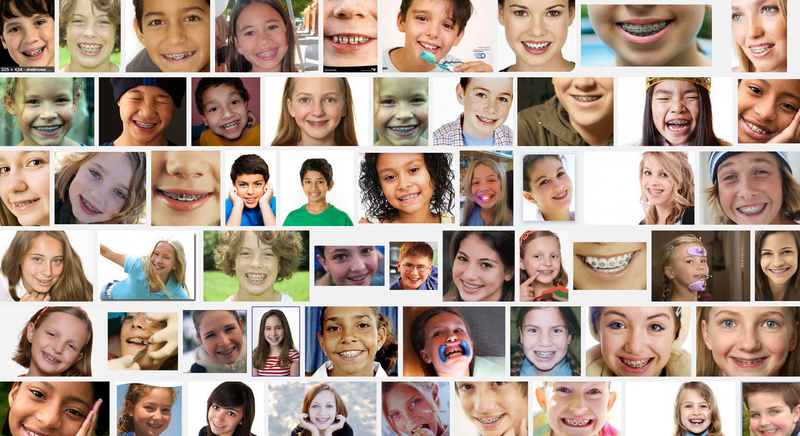 In my Google image search for “child with braces,” the first 100 images yielded about 75 girls. Hard numbers on how many kids get braces are surprisingly hard to come by. However, the government’s medical expenditure survey shows that 17 percent of children ages 11-17 saw an orthodontist in the last year, which means the number getting braces at some point in their lives is higher than that. The numbers are rising, and girls are wearing most of hardware. 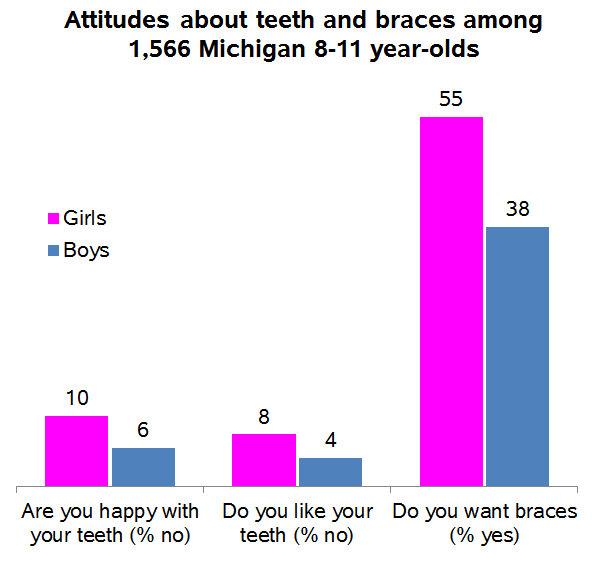 This lines up with other studies that have shown girls want braces more at a given level of need, and they are more likely than boys to get orthodontic treatment after being referred to a specialist. Among those getting braces, there are more girls whose need is low or borderline. A study of 12-19 year-olds getting braces at a university clinic found 56 percent of the girls, compared with 47 percent of the boys, had “little need” for them on the aesthetic scale. The same pattern is found in Germany, where 38 percent of girls versus 30 percent of boys ages 11-14 have braces, and in Britain – both countries where braces are covered by state health insurance if they are needed, but parents can pay for them if they aren’t. Caption: The teeth of TV anchors Anderson Cooper, Soledad O’Brien, Robin Roberts, Suzanne Malveaux, Don Lemon, George Stephanopolous, David Gregory, Ashley Banfield, and Diane Sawyer. Today’s rich and famous people – at least the one whose faces we see a lot – usually have straight white teeth, and most people don’t get that way without some intervention. And lots of people get that. Girls are held to a higher beauty standard and feel the pressure – from media, peers or parents – to get their teeth straightened. They want braces, and for good reason. Unfortunately, this subjects them to needless medical procedures and reinforces the over-valuing of appearance. However, it also shows one way that parents invest more in their girls, perhaps thinking they need to prepare them for successful careers and relationships by spending more on their looks. When they’re grown up, of course, women get a lot more cosmetic surgery than men do – 87 percent of all surgical procedures, and 94% of Botox-type procedures – and that gap is growing over time. As is the case with lots of cosmetic procedures, people from wealthier families generally are less likely to need braces but more likely to get them. But add this to the gender pattern, and what emerges is a system in which richer girls (voluntarily or not) and their parents set the standard for beauty – and then reap the rewards (as well as harms) of reaching it. Note: I didn’t find any sociological studies of this. Why don’t you do one? Home birth is more dangerous. Discuss. Here is the most recent result from a large study reported on the New York Times Well blog, which looks to me like it was done properly, from the American Journal of Obstetrics & Gynecology. Researchers analyzed about 2 million birth records of live, term (37-43 weeks), singleton, vertex (head-first) births, including 12,000 planned home births (that is, not including those where the home birth was accidental). They also excluded those at freestanding birthing centers. 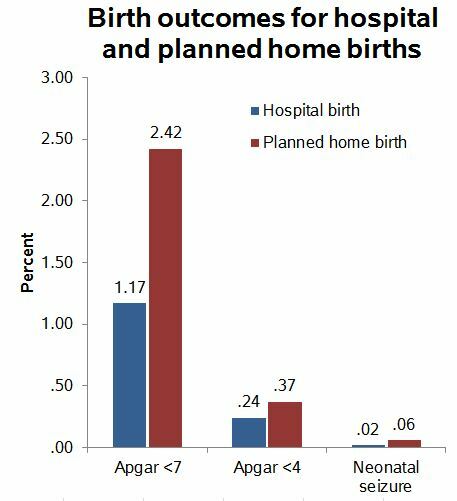 On three measures of birth outcomes, the home-birth infants were more likely to have bad results: low Apgar scores and neonatal seizures. Apgar is the standard for measuring an infant’s wellbeing within 5 minutes of birth, assessing breathing, heart rate, muscle tone, reflex irritability and circulation (blue skin). With up to 2 points on each indicator, the maximum score is 10, but 7 or more is considered normal and under 4 is serious trouble. Low scores are usually caused by some difficulty in the birth process, and babies with low scores usually require medical attention. The score is a good indicator of risk for infant mortality. These are big differences considering the home birth mothers are usually healthier. 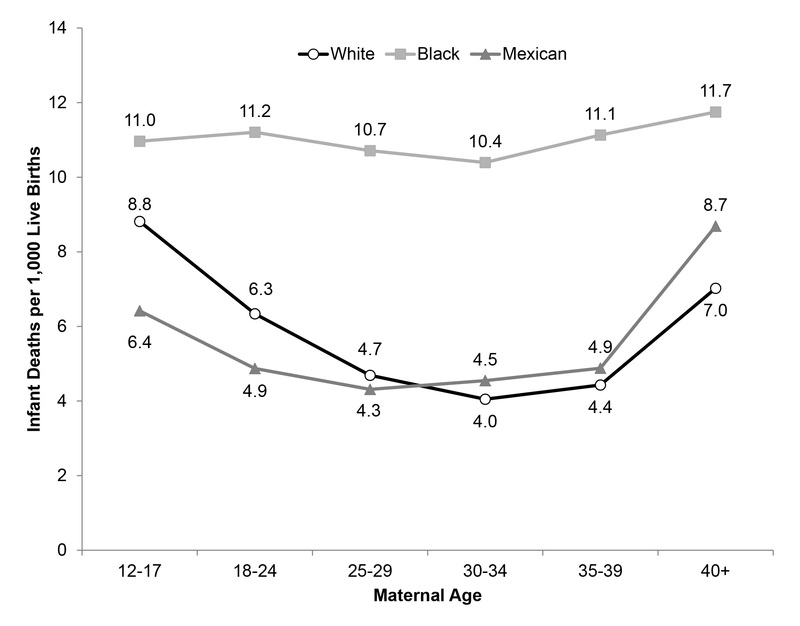 In the subsequent analysis, the researchers controlled for parity, maternal age, race/ethnicity, education, gestational age at delivery, number of prenatal care visits, cigarette smoking during pregnancy, and medical/obstetric conditions. With those controls, the odds ratios were 1.9 for Apgar<4, 2.4 for Apgar<7, and 3.1 for seizures. Pretty big effects. These birth complication rates are low by world historical standards. In New Delhi, India, in the 1980s 10% of 5-minute-olds had Apgar scores of 3 or less. So that’s many-times worse than American home births. On the other hand, a number of big European countries (Germany, France, Italy) have Apgar<7 rates of 1% or less, which is much better. Seems like a good topic for discussion, and having some real numbers helps. Let me know what you decide. Is the Healthcare.gov debacle, with its dozens of overlapping contractors, just a metaphor for why a single-payer system makes so much more sense, or is it actually one of the reasons a single-payer system makes so much more sense? Giving things to people costs money, so you would expect that indiscriminate gifting would be expensive. But that doesn’t mean highly targeting giving is more efficient, or even cheaper overall. Throwing leaflets out of an airplane might cost you $500 for the flight and $100 for the 1,000 leaflets. If you only drop 500 leaflets, you save on printing costs. 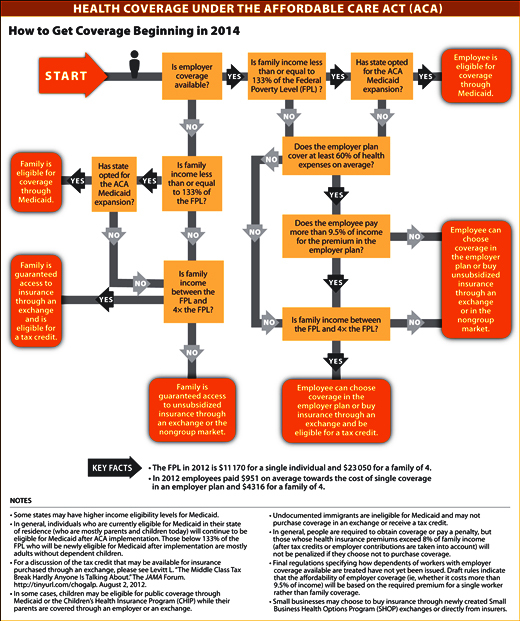 Your cost per leaflet goes up, but your total cost goes down. That’s indiscriminate. But giving away fewer leaflets will increase your costs if you want to be selective. If you want only men over six-foot-four to get your leaflet, the cost of administering that rule might be more expensive than the airplane drop. Trying to give just 50 leaflets only to men over six-foot-four requires hiring someone to walk around qualifying people as tall men, which would be expensive. Obamacare isn’t just about giving away healthcare, but that’s part of it. And it shows that restricting who gets healthcare isn’t just a savings: Yes, you’re giving away less, but you have to pay the cost of figuring out who can’t have it, and then preventing those people from stealing it. 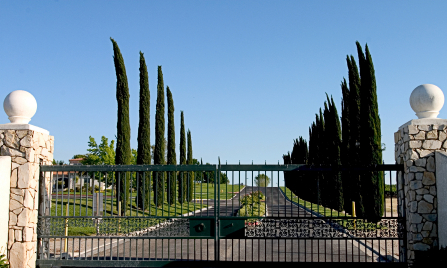 (This is a variant of what is known as the cost-of-gates-for-rich-people dilemma). In the case of Obamacare, the Tea Party saved us money by denying health insurance to undocumented immigrants, but cost us the money spent screening customers to make sure they’re not undocumented immigrants (and then paying for the ER visits of innocent children with asthma). A plan this complicated has a lot of these costs. To name a few: In the budgeting and planning phase we have to pay for health economists, in the administration phase we pay for database managers, and in the PR-disaster phase we pay for lawyers representing private contractors who testify before Congress. Which is what hit me yesterday, when, at a hearing of the House Energy and Commerce Committee on the Obamacare roll-out, John Lau from Serco bragged about “the professionalism of our recruiting efforts and the outstanding way we have on-boarded and trained our people.” Inventing verbs is never a good way to save money. More importantly, though, neither is attempting to communicate with databases from Social Security, the Internal Revenue Service, Homeland Security and many insurance plans thousands of times per minute, just to make sure people don’t steal health insurance. Giving away healthcare has a lot of costs, but figuring out who to deny shouldn’t be one of them. 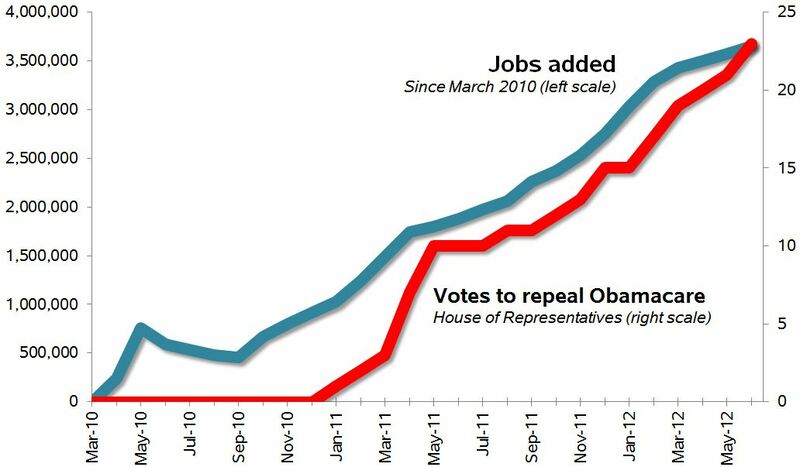 Sources: Current Employment Statistics (seasonally adjusted); Washington Post 2 Chambers blog. Note: The blog is nonpartisan.